During Storage Field Day 1 we also visited the Drobo Headquarters. Drobo provided us with a great show and even better information. One of the great solutions I noticed for SMB environments is the combination of a Drobo B800i or B1200i and the Veeam Backup and Replication v6 software. First let’s dive a bit deeper into these Drobo products. A great thing about the Drobo B1200i is that it can filled with SSD’s. This can be done by using 3,5″ OCZ Talos SSD’s or you could use a bracket for 2,5″ SSD’s. To be able to give your I/O consuming application the boost it needs you can add SSD’s and use BeyondRAID to easely setup a superfast datastore. Speaking of BeyondRAID, let’s dive into that feature a little more. Traditional SAN storage uses different kind of RAID levels. 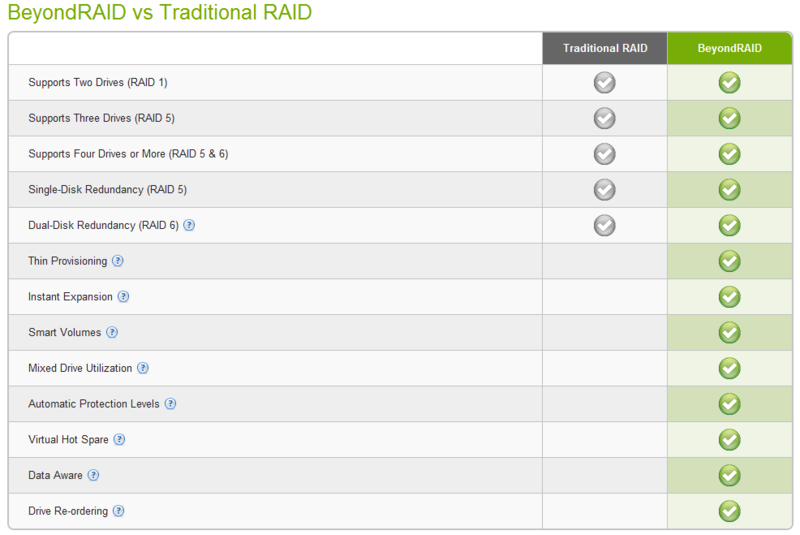 RAID levels 0,1,5,6,10,50 and 60 are most commonly in the SAN these days. Where enterprises often have a team of Storage administrators/Specialists to take care of the complex Storage environments (including the RAID levels), SMB’s most of the time have one or two system administrator’s that take care of the whole IT infrastructure (including the Storage environment). Drobo created BeyondRAID to overcome the complexity of a Storage environment. Things like changing a LUN from RAID5 to RAID6, expanding a LUN and debilitated state after a drive failure are overcome by BeyondRAID. By providing an easy to use webinterface every IT-administrator is able to create and manage a Drobo. Scalability: provides the oppertunity for multiple proxy servers (data movers). Dynamically assign VM’s to a proxy server and intelligent load balancing. De-duplication and Compression: Cuts backup storage requirements up to 75% by compressing backup and network traffic and eliminating duplicate blocks of data. Agentless: There are no agents for you to license or deploy, manage, monitor or update on hosts or VMs. Synthetic Full Backups: Takes previous full and incremental backups to make a new full backup recovery point without duress on primary storage. 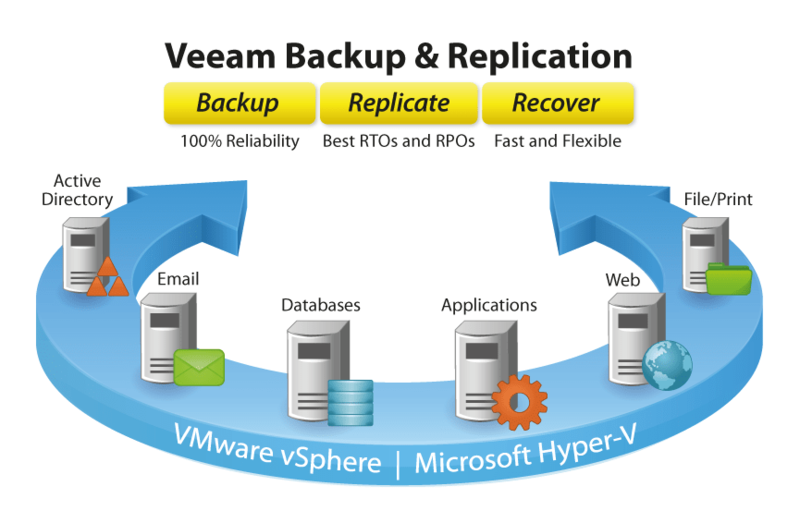 Veeam Backup and Replication v6 is one of the leading backup and recovery software suites in the field. Currently if you buy 2 B800i’s or 1 B1200i you will get a FREE Veeam Essential Standard Edition (2 Socket license). And as told by combining these very powerfull and industry leading products the SMB will be able to deliver the performance needed for their environment with and be able to backup, replicate and restore using a an easy to use but incredible solution. Veeam and Drobo are a match made in heaven for the SMB.